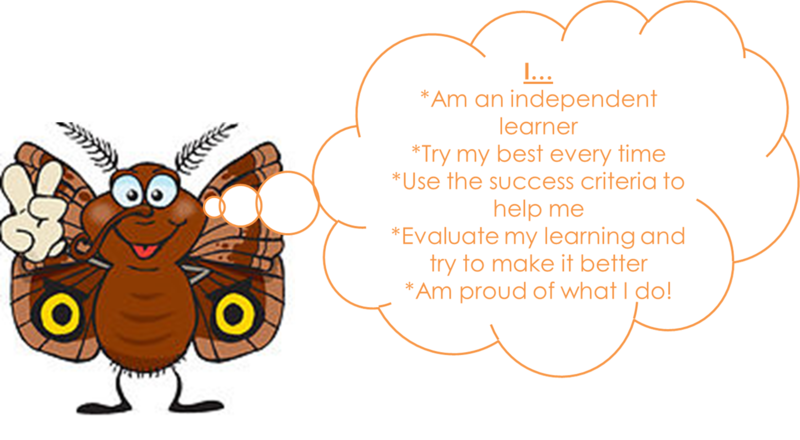 At Milverton, we know that to be successful, we have to become amazing learners. Throughout our Milverton journey, we learn six super skills which help us to become the best we can be. 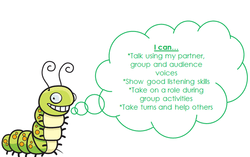 Each skill has its own character and success criteria, which help us to remember what’s what! We learn how to communicate using different voices depending on who we are talking to: partner voices means only one other person can hear us but when we use our audience voices, the whole school hall can hear! Listening is an important skill too so we practise using our listening eyes, ears and body language, remembering to ask good questions to encourage people to carry on speaking. In class, we use collaboration roles to make sure everyone has a fair job to do during group work – roles include: research managers, chief speakers, illustration manages and explanation managers – this way, our learning is always amazing as we can help and learn from each other. At Milverton, we celebrate our ‘Milvertonness’; we love the fact we are all different and the fact we have loads in common. Meeting and learning with different people makes us grow as people and helps us to grow our learning brains even more. We know what good learners look like – you can ask us to draw you a picture if you want to see! We also know what our strengths are and that it is important to really practise the things we find tricky because learning is a journey and we have to try hard in order to grow our brains! There are many different feelings that we can experience in our lives and we can use amazing adjectives to name them; we are also learning ways to manage our emotions when things get tough like using a member of our network; counting down and breathing; writing in a think book; using an emotions thermometer or going to our happy place. 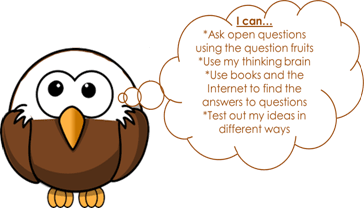 Amazing learners ask amazing questions – this is one way you can grow your brain! In our classrooms, we have curiosity displays and question fruits which encourage us to explore, ask and answer questions about all sorts of interesting things. Our teachers always put questions on the wall and the whiteboard for us to answer to and even use ‘Thunks’ to open our minds; what would your answers be to these: ‘If you paint over a window, is it still a window?’, ‘Is black a colour?’ and ‘Is a millionaire marooned on an island, still a millionaire?’. We also have reading corners in every classroom because we know that good learners read as much as they can! Finally, we know that we have to practise our research skills to become a great learner and we do so by using our brains, books and the Internet! Problem solving is an important part of our daily learning experience – we are learning to become resilient so we can take risks and not worry about being wrong because we know that is all part of the learning journey. Our teachers set us problem solving challenges all the time to help us practise and are always asking us to explain why. We know that if things don’t work out the first time, we should try a different way! We are all striving to be the best we can possibly be as independent learners—sometimes we even get to choose our own learning and how to present it! 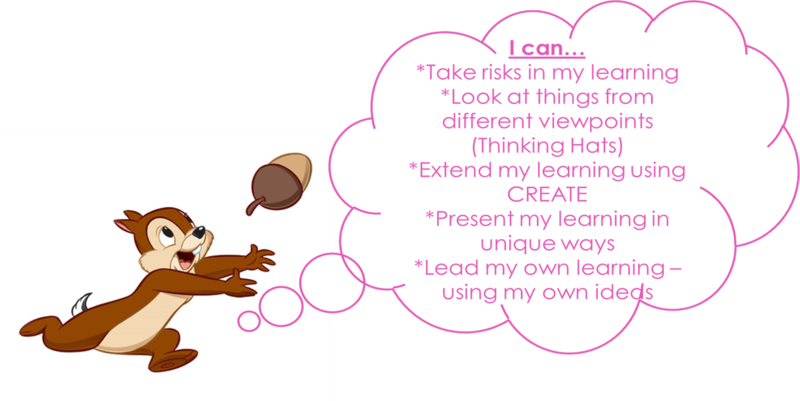 The success criteria we have in our lessons help us to produce the best learning we can and our teachers set us bronze, silver, gold and sometimes even platinum learning tasks so we can really challenge ourselves. We know that all learning can be made even better if we evaluate it using the success criteria and we use our ‘rethink in pink’ pens to make improvements. Our main aim is to be proud of EVERYTHING that we do! Our Milverton curriculum is amazing – we learn by experiencing and every project is carefully planned to give us real life links which help us to remember more easily. We explore our learning in many different ways; try to look at it from different points of view and see how we can use our own creativity to extend it. Sometimes, we are even allowed to lead our own learning, taking it in a direction that excites us the most. There is never a dull moment at Milverton! The most important thing we know is that learning is a journey… and all of these super skills help us on our way!